The Patriots have since won five straight and are in the driver's seat in the AFC East. It's a little easier to be truthful when you've bounced back from a 2-2 start -- including a humiliating 41-14 blowout on national television -- when you're quarterback has returned to his Hall-of-Fame form and the team is currently on a five-game winning streak (including a blowout win of their own -- this time against the Broncos). 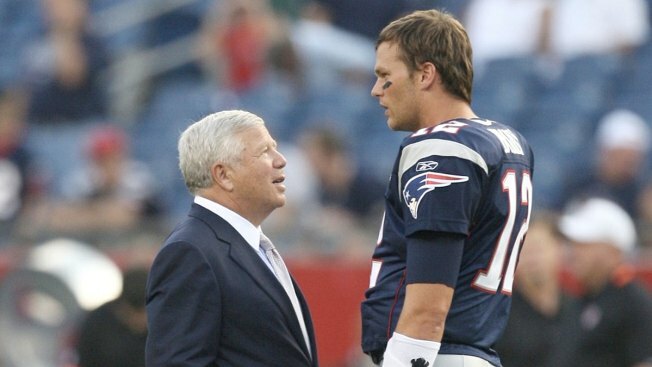 All that said, Patriots owner Robert Kraft admitted this week that he was "definitely worried" following that Chiefs beatdown for many of the same reasons as the rest of us: It looked like the Tom Brady era might finally be over. That's an understatement. Either way, the Patriots are in first place in the division and in the driver's seat for home-field advantage once the playoffs roll around. “We started the season out there 2-2, and of course we got completely shellacked that Monday night out in Kansas City. It might be the worst beating I‘ve had as an owner and of course in the Belichick era it was the worst in the past 15 years,” Kraft continued. “I know all the sages in the media were calling for us to trade Tommy [Brady] or sit him and [Bill] Belichick had lost it. Maybe, in a way, it was a good thing. It shook us up. In moments of crisis, you either rise to great things or you crumble. Our guys came together. The Patriots are currently on their bye. They'll travel to Indianapolis to face the Colts on Nov. 16.